💔 - I'm heartbroken and speechless. I've been on its towers not even a month ago. Seeing centuries of history and a building I've fallen in love with slowly turning into ashes completely tears me up. I was there two weeks ago. I'm at a loss for words. My heart goes out to the people of Paris, and for the Catholic community worldwide. It's hard to describe the feeling that you get when something that has been around for almost 1,000 years is destroyed in the blink of an eye. I'm devastated. Our Lady will most certainly rise again. The Serbian Orthodox Cathedral in Manhattan burned down a few years back; I remember it vividly, it was the very definition of an apocalyptic scene. Even having seen that I can't imagine what this must have looked and felt like in person. Incredibly sad. On a brighter note, the last few people came out before the church burned down so no lives were taken. It's all so tragic... I hope Paris can recover quickly and if there is anyone here living around there now, know that I feel greatly. As a French Parisian seeing this affected me a lot. It seems like the interior has somewhat survived. They are already planning the restoration and rebuilding efforts. This is really sad day for Christians and the whole world. Part of our cultural heritage has died but I hope it can be recovered, at least partially. When you pass in front of Notre Dame every day to go to work, somehow, you consider it is eternal, that this view will never chnage. You don't even look at it anymore. The incident is truly a saddening situation, and many around the world have been filled with sorrow and remorse. It is heartwarming, though, to see that the world has unified in that sorrow, temporarily breaking down barriers and setting aside grudges in respect of its architecture and history. Though the building, physically, is broken and parts of it destroyed, it will forever live in our hearts and souls. It is not lost completely, so long as we remember. Praise to God that much of the interior - including the cross, the altar and the pulpit, along with all the artworks and artefacts in the church - are intact and safe. It is sad to hear that a prominent historic building in Paris with a rich history has been burned down. Lets pray to the Lord that restoration works will start. Blessed Lent, Good Friday and Easter ahead. Pray to God for Paris. The marvelous city has had rough times, from migration crisis to I think it was bombings (or shootings) to a man made wonder engulfed in flames. 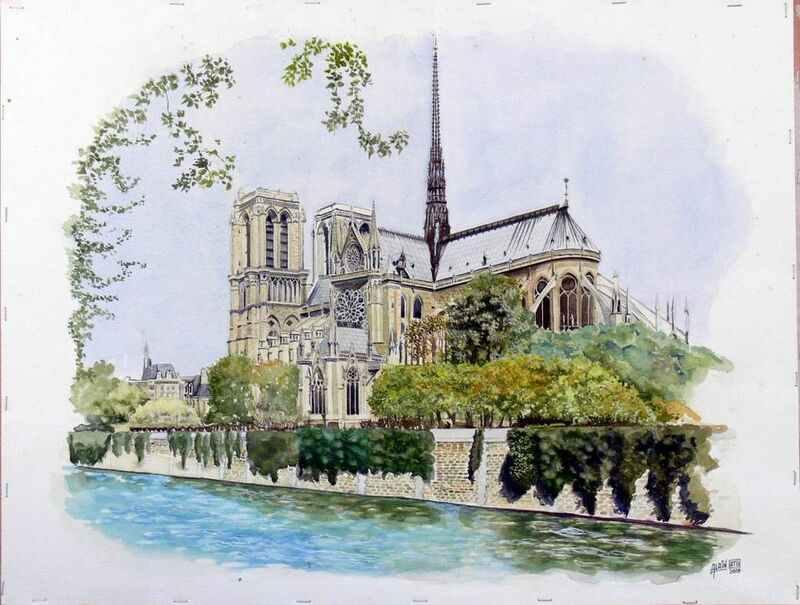 It's been quite a while since I was in Paris, but it is my favourite city, and I well remember the times I would walk or sit around Notre Dame just soaking up the atmosphere and admiring its beauty. I'm not religious, but this is history going up in smoke. So very sad. Was watching it live on twitter yesterday. Was like in a movie. To think that 7 decades ago scenes like that and worse happened everywhere we can be lucky that nothing was lost forever. Solidarity from your german neighbours.